The late Albert Hadley, like most interior designers, was able to see the potential for style in some unlikely places, like a room’s ceiling. 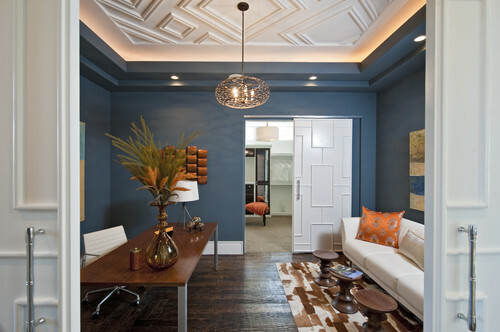 Much like a wall, ceilings are just another blank surface that can become a significant part of a room’s design. One of the best things about incorporating the ceiling into a part of a room’s design is the fact that there are plenty of ways to do so. 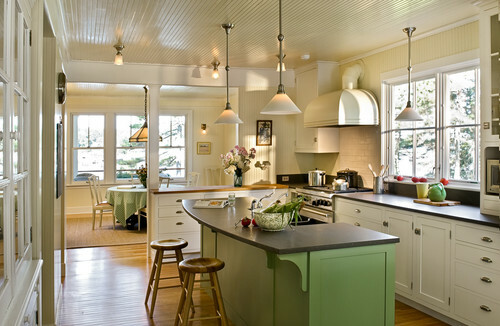 Houzz outlined some of the ways you can tap into a ceiling’s potential a while back, and included some obvious solutions, such as paint (which will instantly draw the eyes upward and is much prettier than a plain white ceiling), as well as coffered ceilings, wallpaper, and others. 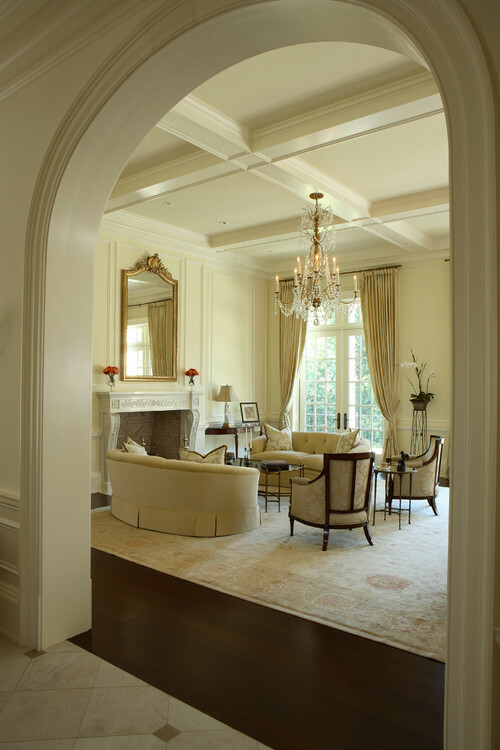 Below are several examples of rooms in which style extends to the ceilings. 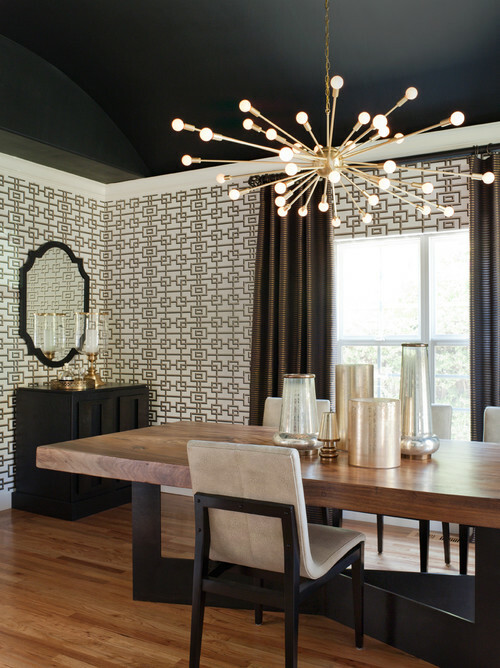 If your space could use a new look, dare to push design to the upper limits by incorporating style onto your ceiling! Find the look that best suits your space and go for it!